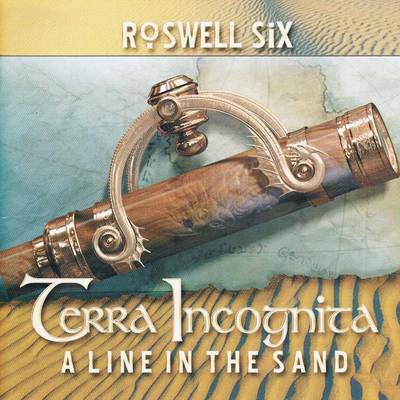 Roswell Six - "Terra Incognita-A line in the Sand"
This is the second Roswell Six CD. I reviewed the first one and thought it was a pretty damn cool project. Henning Pauling plays all the instruments but there are a number of famous and less famous guest vocalists like Steve Walsh (Kansas), Sass Jordan, Michael Sadler (Saga), Charles Dominici (Dream Theater), Alex Froese (Frameshift), Arjen Lucassen (Ayreon) and Nick Storr (the Third Ending). This release coincides with the release of the second book by Kevin J Anderson in his recent series. This book is called The Map of all Things and the music here ties into the book themes. The opening track is a pretty heavy track with metal guitars and heavy keyboards as well and powerful vocals by Steve Walsh but he sure sounds different. He also sings on two other tracks as well (My Father's Son, Spiral). You would almost not recognize him singing this style. The Crown is a cool track that features the more bluesy vocals of Sass Jordan. She also sings the track Need. The music on the entire CD is quite emotionally intense and very complex stuff. Not all the tracks are heavy metal. Loyalty is a love ballad sung by Michael Sadler. I am pretty impressed that Henning pulls off playing all these instruments with such mastery. The booklet has a great layout with all the lyrics and is nicely illustrated. Impressive CD.